Jacek Kustra is working on a PhD on point cloud processing methods using 3D medial axes. He is advised by prof. Alexandru Telea (University of Groningen) and co-advised by dr. Andrei Jalba (University of Eindhoven). 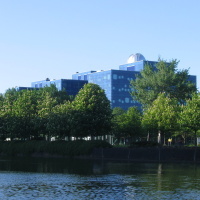 He is currently with Philips Research Eindhoven, where he participates in various R&D projects in 3D visualization, computer vision, and software architecture.